The most asked questions that I see in the Bulletin Board section of FAOL center around equipment; has anyone used this rod, reel, leader, etc. Mostly it seems the questioners want to know if the product is worth the expenditure of their limited funds or if they would just be better off sticking with their old Pflueger reel or that old Shakespeare fiberglass rod for just one more season. All of these questions reminds me of the years when JC and I put on fly-fishing clinics back in the Midwest. Just before the opening of the trout season in Michigan we would put on a series of clinics around the area. We would get a local school to allow us to utilize their gym on a Saturday, and we would invite all the local trout anglers to bring their fly-fishing equipment and we would show them how to use it. We had demonstrations on knot tying, fly tying, and then we would put on a casting clinic. JC and I would demonstrate proper casting techniques, and then we would work with individual anglers using their equipment. During those clinics we saw some truly abominable pieces of equipment; rods that were more suitable for poking bats out of a chimney than casting a fly line, fly lines that had more cracks than an ice cube dropped in boiling water, and reels that were heavy enough to anchor a small tug boat in a substantial gale. However, much of the equipment was very serviceable even if it wasn't top of the line, but the owners usually expressed the opinion that 'if they just had better equipment they would be better anglers.' When JC or I would take their equipment and execute a series of reasonably perfect casts they would usually shake their heads in amazement. Wow, it's not the equipment but the user! The equipment used for playing geezer sport [shuffleboard] consists of an adjustable stick with a U-shaped end that is used for pushing the puck down the court. Now it would seem that little could be done to an adjustable stick with a U-shaped end, but you would be wrong. While the stick is basically beyond much manipulation the U-shaped end has evolved from a simple U-shaped piece of metal to a device with rollers on the tips, Teflon coated slides, and various other 'improvements' to supposedly give the player greater control over the puck. Recently I watched an older lady, who was old enough to be my grandmother, use a simple adjustable stick with a plain U-shaped tip, whip the pants off some dandies with their fancy sticks equipped with rollers and Teflon-coated slides. Her technique was flawless, her touch exquisite, and her humility unsurpassed. Wow, it's not the equipment but the user! Given the reality that it's not the equipment but the user, what then is the answer to the question, "What equipment should I buy?" When JC and I were confronted by that question years ago our stock answer was 'Buy the best equipment that you can afford." Since the most common excuse for an angler's inability to cast properly is their equipment if you have the best equipment and still cannot cast you have just eliminated the most common excuse for failure. Wow, it's not the equipment, it's the user! 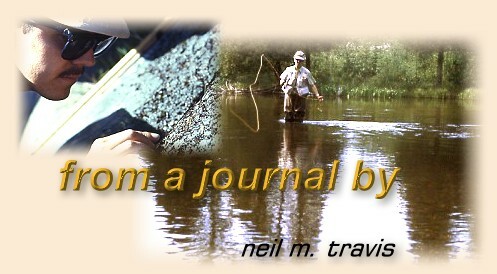 Now this is not to suggest that an angler should simply strap a cheap reel to a broom stick with guides and be content. However, if you have almost any modern fly rod from a major manufacturer that is matched with the correct weight fly line and a reasonable amount of coordination any lack of casting and presentation skills are not the fault of the equipment.